As soon as you make one step to the side — so you can go around the pedestal and reach its behind — something throws you right off. It takes you a moment to work out what it is, but once you do, it's plain to see. The brass horn has moved. It's still pointed directly at you. Something deep inside you grows tiny and cold as you feel Sally's judgement bore into you. She was right after all. "Okay. Fair enough. I'm beat." you admit. You glance towards her. She looks confused, brows furrowed together. "What?" She turns to 3939, keeping the same expression. "It hasn't." "It clearly has. It's pointing at me, and I'm over here. It was pointing towards the door when we came in." Maybe it's designed to always be pointing to the listener so it sounds better, you think hopefully to yourself. "Sally, are you seeing this or am I going crazy?" She looks at you for a long moment. "Um. You are, uh, going crazy?" "You can't see that it's rotated?" 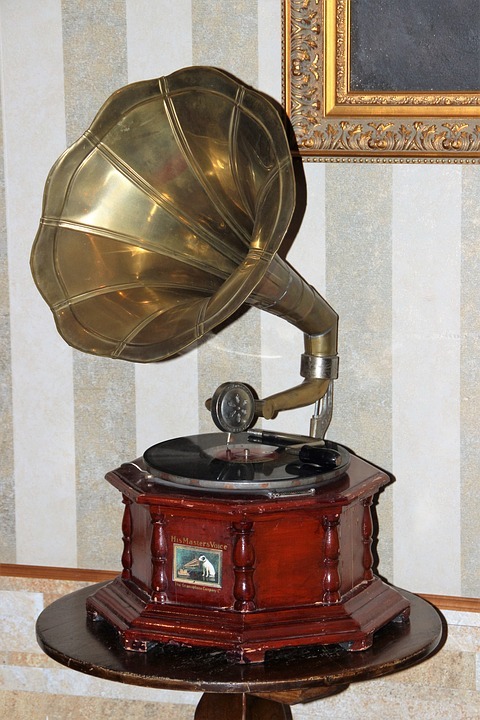 She starts to move over to you, and — even though the gramophone hasn't moved — she startles at it. "Oh, wow. It's still pointing towards me." she breathes. You make a mental note of the effect. There's nothing interesting on the back of it.